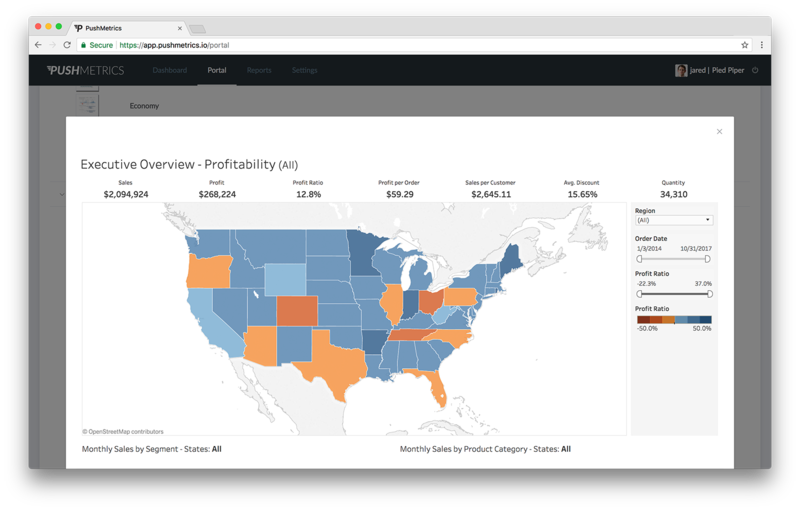 Save time and money by providing your users a way to access data insights and schedule reports. Give your team and your customers tailored access to a simple, centralized data portal. Provide everyone with the information they need in a truly self-service way. 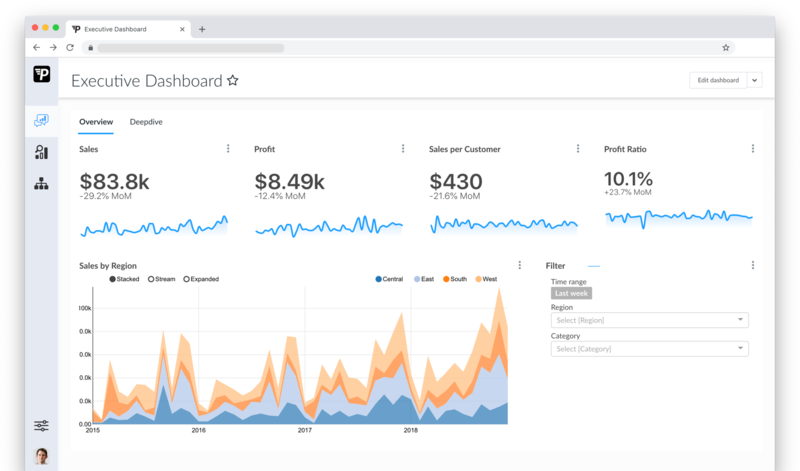 The PushMetrics portal allows you to organize all your charts, views & dashboards from your data warehouse and other tools like Tableau in a clean and easy-to-use interface, custom-tailored to your audience. Let users access live dashboards, execute stored queries, download data exports and share content ad-hoc. 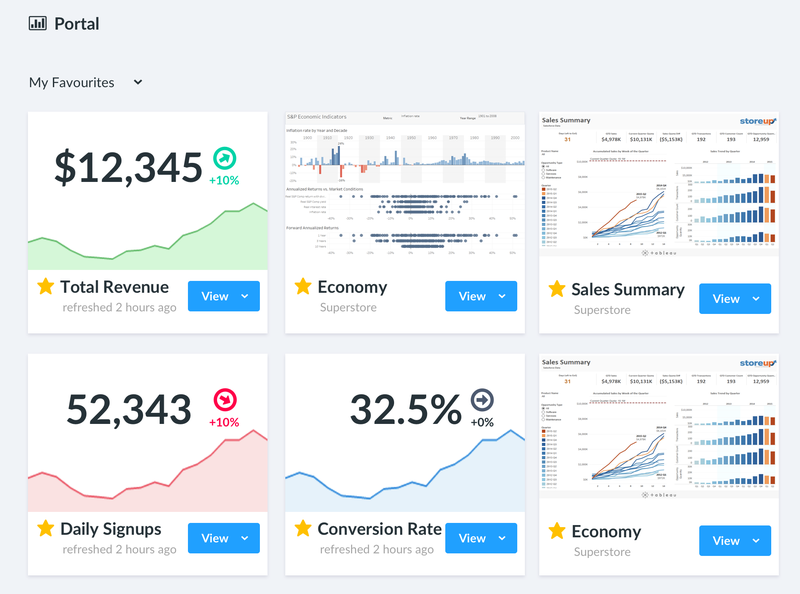 Boost user adoption by making it easy to share dashboards throughout your organization or give clients a streamlined way to access live data. The portal is available as a white label solution, customized to your branding and requirements. Contact us for details. Set up Your Self-Service Portal!